Editor: Doug Porter only at San Diego Free Press, our online media partner, has the very latest on the sexual harassment scandal swirling around Carl DeMaio, running in the 52nd Congressional District against Scott Peters. Plus Porter does a comparison between this latest DeMaio scandal and the scandal that forced out Mayor Bob Filner. Last week sexual harassment accusations against congressional candidate Carl DeMaio went national by way of stories in Politico.com and CNN. Today we’ll follow up on developments in this story over the weekend. A Saturday morning fundraiser featuring house speaker John Boehner in Pacific Beach for the 52nd district GOP candidate was notable for the absence of local politicos and a handful of protesters waving “Dirty DeMaio” signs. The irony of the counter demonstration, reminiscent of reaction in some quarters to our former mayor’s boorish behavior, was the presence of Jess Durfee. Back in the days when Durfee headed up county Democrats it was he chose to disregard warnings about Filner from a delegation of party women. On Friday the media reported on a letter calling upon the state Attorney General for an “independent” review of the allegations “with no political influence.” Given that County DA Bonnie Dumanis has at least one potential prosecution on her desk with the potential to swing the race for or against DeMaio and her past political support for the candidate, this seems like a no-brainer… until you see Durfee’s name at the bottom of the letter. The last thing the Democratic Party in this town needs to do is to be perceived as gloating over this scandal. Like it or not, Durfee is associated in many people’s minds with the party. The specifics of the Filner scandal differ from what’s currently swirling around Carl DeMaio in two ways. In Filner’s case there were multiple accusers. With DeMaio there’s just one at this point. His response was, in a way, the most damning evidence. It was always something along the lines of: They won’t be able to prove I sexually harassed anyone. That’s different in this case – both sides are digging in their heels on their very different version of events. DeMaio is calling Bosnich a liar, and provides a motive for why he’d make it up. What Filner and DeMaio have in common is each faced accusations against a backdrop of a well-established behavior patterns considered arrogant by their critics. That perceived conceit lent a certain air of credibility to accounts of aberrant treatment towards others. Both serve(d) as lightning rods for ideological opponents, galvanizing ongoing antipathy in key segments of politically active blocs. Hence the widespread suspicions about allegations of harassment being part of a conspiracy to derail their agendas. There is no reason why these trains of thought are mutually exclusive. I believe in Filner’s case there was a strategy in place involving the outgoing mayor, his allies in the tourism industry and the city attorney’s office–even prior to his taking the oath of office–to marginalize and discredit him politically. This really isn’t that much different than what Washington insiders have pulled on the current President. The ex-Mayor’s wannabe philandering was simply icing on the cake. My sense about DeMaio’s situation is that he’ll escape prosecution. One witness, no backup. But I believe his accusers’ motivations are not a just case of getting even for being blamed for Carl’s latest bout of plagiarism. Based on my reading of Todd Bosnich’s rabidly partisan social media output and the fact he’s not political novice (he was a Congressional aide in 2008-9) that’s been implied, I say his motivation is about becoming disillusioned with a candidate. UPDATE: City Beat has the audio of Todd Bosnich’s June interview with KFMB’s Mike Slater. UT-San Diego editorial writer Chris Reed took to the conservative Calwatchdog.com to vent about his perception of the hypocrisy of the situation. Tolerance is not required when it doesn’t suit Democrats or their de facto media allies, even those most likely to moralize about bigotry. Instead, 1940s-style sniggering about sexuality is fine when the target is a Republican. Reed went on to predict attack ads mentioning the allegations against DeMaio “by Friday afternoon at the latest.” As was the case with his cohorts’ predictions about about a Democratic victory in 2012 presidential contest, this prediction failed to materialize. @vosdscott @drolland I think it will be used. Stakes too high. What blowback would super PACs, national Dems face if it were lies? Little. The televised debate, by the way, has to rank as the most ridiculous staging ever in San Diego: panelists were Chamber of Commerce CEO Jerry Sanders and right-wing radio host La Donna Harvey. Darth Vader and the Tea Party’s Queen of Hearts hardly seemed like an enlightening combination of panelists–kinda like having only Country and Western judges at a contemporary music competition. And they didn’t disappoint. Hurrah! Our candidate [insert name] won! Meanwhile back in the land of actual voters, it was a good week to be a pollster and a bad week to answer the phone during dinner in you happened to live in the 52nd congressional district. Look for news stories shortly about polls telling us it’s too soon to tell if the allegations against DeMaio mean anything in terms of election results. The DeMaio campaign continues to try and control the narrative here, namely that the person accusing him of sexual harassment must be marginalized and discredited. “It’s unfortunate. He’s clearly troubled. He got caught for the damage that he did to the campaign and now he’s manufacturing in essence a cover story to explain away his actions,” DeMaio told CNN. And it appears as though these dogged denials may be having the desired effect, even though there are plenty of questions remaining about the spin coming out of the Carl DeMaio camp. The Republican candidate has made claims about the investigation into allegations against him that are not provable. DeMaio told the media last Wednesday about a phone call from SDPD Chief Shelley Zimmerman assuring him the investigation into allegations of harassment was completed and that those claims were unfounded. He’s also said he expected DA Bonnie Dumanis would be taking action in the break-in case in the near future. Even UT-San Diego readers are bothered by the idea of DA Dumanis’ involvement in any prosecutions involving Carl DeMaio. A reader poll is running 2 to 1 in favor of her recusing herself from prosecuting the office break in and related accusations. When the SDPD made their announcement back in August following up on their investigation into a break-in of Carl DeMaio’s offices, they indicated TWO former staffers had been implicated. Remember that following the break-in back in May, DeMaio’s campaign made many pronouncements about how the motive could only be to silence the candidate in the days leading up to the primary. The SDPD has refused to name Todd Bosnich (or anybody else for that matter) as a suspect in the break-in. Carl DeMaio’s campaign is the only source for any linkage between the accuser and the burglary. While attorneys for Bosnich have released the polygraph operator’s report to the media, all we have from the DeMaio campaign are claims that they took and passed lie detector tests. @drolland @citybeatkelly @vosdscott @dillonliam been a cop almost 20yrs. 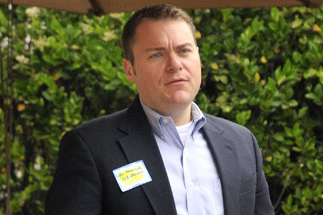 There is no way @carldemaio is telling truth about chiefs call…. The above is an excerpt from Doug Porter’s daily column at San Diego Free Press, our online media partner. Like every other issue, people won’t pay attention to this. If they do, the only effect on voting might be on those who may have voted FOR DeMaio who then have enough of a pang of conscience to stay home and ot vote instead. It won’t prompt people to go out and vote AGAINST him or FOR Peters. This is the messed up state we’re in. There is so much available and wrong information out there in all kinds of social and mass media that somewhere you can find whatever you want to support your beliefs and vote accordingly without ever challenging those beliefs. While the allegations are disturbing, I will support DeMaio until there is proof they are factual. It would be a shame if it was a fabrication that cost him lost votes, causing him to lose the election. I know little of Todd Bosnich, other than he is 29 years old with unknown work history except what Doug shared in this story – “Congressional aide 2008-9”. I too wonder about his motivation, particularly after reading this statement on CNN . . . I doubt an entry level campaign worker’s salary justifies a cross country move (his Facebook page says he’s from San Diego and lives in DC), so it seems working for an openly gay boss was an important factor. I share Doug’s theory “disillusionment with a candidate”, but more specifically, not fulfilling his ulterior motive. Perhaps he thought “like himself, an openly gay Republican” would lead to a permanent position as DeMaio’s Congressional aide. DeMaio’s a bright enough guy to recognize this. It could either piss him off or, if Bosnich speaks the truth, cause him to engage in a sexual tryst that was initiated by Bosnich himself, perhaps only implied by his own admission why he was so “eager” to work for Carl. This leads to the “alleged $50,000 bribe” and DeMaio’s statement he “could no longer trust” Bosnich. Why would an unemployed man refuse such a handsome payout? Not enough money in a blackmail attempt or a bigger payoff from someone else if he made his story public? Todd Bosnich did not move from DC to San Diego to work for the DeMaio campaign. He was already in the area (Del Mar, I think) when the campaign hired him. I can personally attest that Facebook is really screwy about dealing with career changes. I think Bosnich was a true believer based in the intensity of his social media presence. He fought and fought hard with just about every left/liberal politico I know of on Twitter. Whether it was the blame for the plagiarism or the sexual harassment, his faith was shattered. People in those kinds of situations do desperate things and his going to KFMB was clearly in the hope that a “friend” on the Right would help him out of his moral funk. Note also that he gave the radio interview prior to any accusations being made by via the SDPD about his involvement in the DeMaio campaign hdqtrs. Also note that the chances of the truth in this matter coming to light are near zero as long as Bonnie Dumanis is the keeper of the flame for (many!) local politicos. Carl raised money for her last DA campaign, by the way. The point here is that there are enough inconsistencies in everybody’s stories to warrant more investigation. My fear is that investigation will never happen. Doug, thanks for the clarification. As with the Ben Hueso allegations, the truth will probably never be known. The combination of the two gives serious question to DeMaio’s character, which I suppose was the driving force behind Bosnich’s decision to go public. Problem is, was his intent driven by a breach of morality or a vicious retaliation to being fired or accused of plagiarism. If he was indeed guilty of the campaign headquarters vandalism, it would appear to be a retaliatory act and another set of circumstances that would negatively influence my opinion of Bosnich’s allegations. “He says, he says”, with no evidence to back up their claims, is difficult to prove, but the collateral damage is certain to affect DeMaio far beyond it ever touching Bosnich. That’s why I struggle with the credibility of Bosnich and won’t allow his accusations to change my vote. That’s not what Todd said in his radio interview last June. Was he lying in June or now? I would suggest you read the CNN article in their investigation into DiMaio. That should put any Questions about both persons to rest.